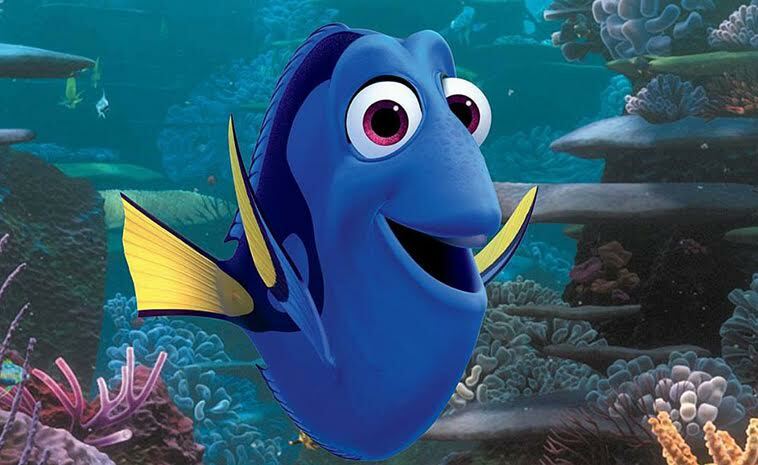 You see, Dory, one of the main characters in both Finding Nemo and Finding Dory, suffers from memory loss. She can’t even remember what she has just done. Whilst this is a seemingly big disadvantage, it has one huge advantage. She is not encumbered by the past. And we interpreted all of this and made meaning of it all – and that’s it, our past made up from all the meaning we made of all the things that either happened or didn’t happen to us. So we don’t really have a past, we have a memory of our interpretation of the past. Now most of our interpretations of the past are useful. After all, we learnt as childen such things as boiling water burns us – this is useful to remember and helps us. However, some things are less useful, like when we find ourselves in a situation that reminds us of a bad thing that happened in the past. This then triggers us to either freeze or even avoid something now, even though in reality the two situations may be completely different. So here’s the rub…when our ‘now,’ and hence our future, is informed solely by our past – however unconsciously – all we can get in the future is a more, better, or different version of our past. It is only by seeing our past as just that, something that happened in the past that we interpreted and have a memory of, and by being grateful for it, but not constrained by it, do we get access to fresh thinking, new possibilities and breakthrough results – results that are not constrained by the past. In Finding Dory, half the action wouldn’t have happened if Dory had been afraid of taking the next steps in her adventure, because of fear based on her memory of the past. And it certainly wouldn’t have made the movie so much fun! As I said at the beginning, I wish I was Dory. Oh, and I very much recommend the movie! I needed to write you that little note to help say thanks a lot over again for your personal pleasing concepts you’ve documented in this article. It was really incredibly generous of people like you giving publicly what many of us would’ve marketed for an electronic book in making some dough on their own, certainly considering the fact that you might have done it in the event you desired. The pointers also served to be a great way to comprehend some people have similar eagerness just as mine to know somewhat more pertaining to this condition. I believe there are numerous more pleasurable opportunities in the future for those who see your website. Hiya, I’m really glad I have found this info. Nowadays bloggers publish just about gossips and web and this is actually frustrating. A good web site with interesting content, that is what I need. Thank you for keeping this site, I will be visiting it. Do you do newsletters? Can’t find it.